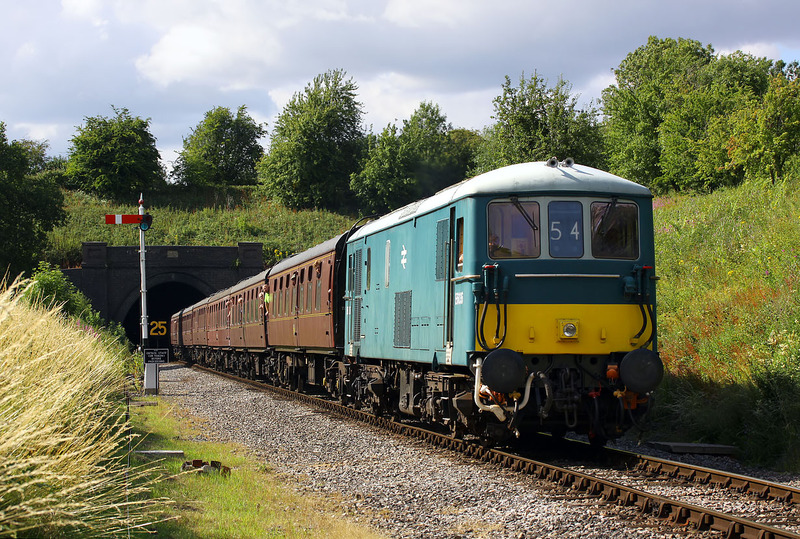 E6036 emerges from the 693 yard long Greet Tunnel on 25 July 2015 with the 2T74 16:10 Cheltenham Racecourse to Toddington service, during the Gloucestershire Railway's Diesel Gala. As the GWR is obviously not going to lay any 750V third rail, this loco will have to rely on its 600hp diesel engine for the rest of is career! Quite a load for such a small engine.